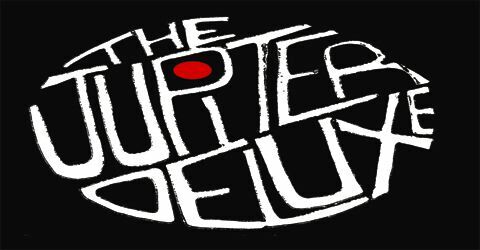 More good news before we close out the year: The Jupiter Deluxe is pleased to announce that our single “Faceplant” made Indie-Music.com’s Top MP3s of 2008 list. Please celebrate with us this Friday at Bar ReHab, on Ave B @ 2nd Street. 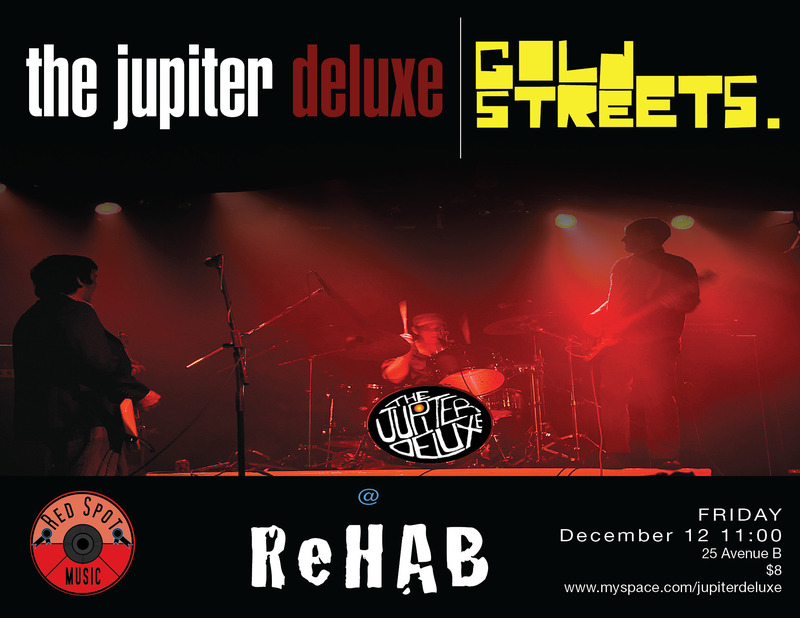 We’re joined by friends Gold Streets at 10PM. Stick around for our set at 11PM! We will be putting the cap on Miracle Year 2008 next Friday night, 12.12, at Rehab. We are joined by our friends in Gold Streets. It’s been quite a year for us. We released our debut EP, plus a video for our single “Faceplant.” We received some rave reviews in the process and played some excellent shows. This fall we were honored with writing the theme song to a new show on VH1.